← Tour a local seed farm! 6pm ~ Skill Share ~ Have you ever wanted to make your own kimchi! You can! 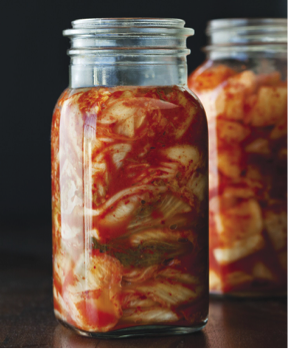 Join Connie Chang who will show you how to make instant kimchi and traditional kimchi. What is kimchi? It is a traditional fermented Korean side dish made of with spiced cabbage and vegetables. Fermenting vegetables is a great way to preserve extra vegetables from your garden. Plus, fermented foods contain probiotics that to keep your gut healthy! You will get a chance to taste test instant kimchi and take some home to let it finish fermenting. 7pm ~ Potluck ~ Bring a dish to pass (seasonal ingredients if possible!) & washable plate/cup/fork, and try the kimchi you just made!